Tully’s: Det blir femitofem kronor! – Kan jag få en cappuccino och en choklad muffin? – Var det bra så? – Det blir femtiofem kronor. I got up really early morning. I mean really, really early. So much that by 8:30 I had sent a few work emails AND cleaned my flat (I even washed the floor!). That means I was on the streets a bit too early for Stockholm. I had planned to stop at my favorite magazine store before going for breakfast at Twang. Well, the store was only opening at 10:00, and so were most cafés in Södermalm. 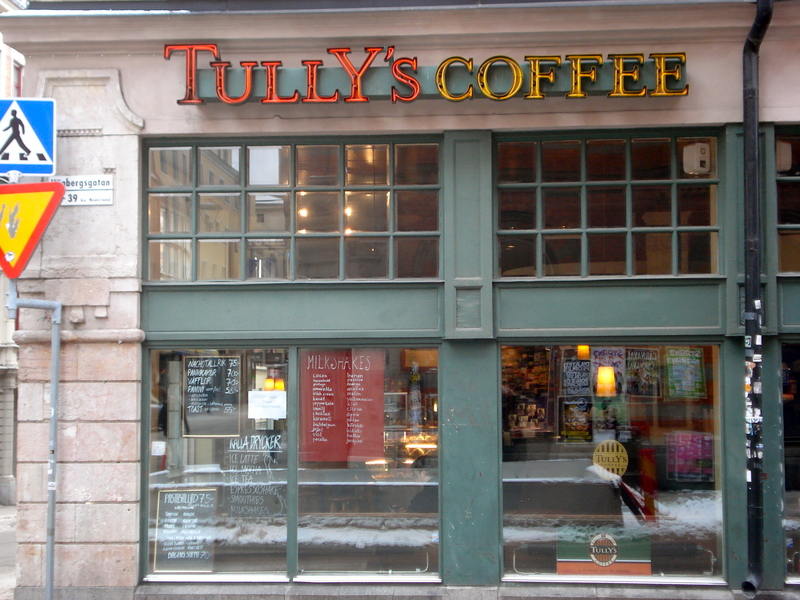 But right across the street from the magazine store on Götgatan is Tully’s. And Tully’s was open! 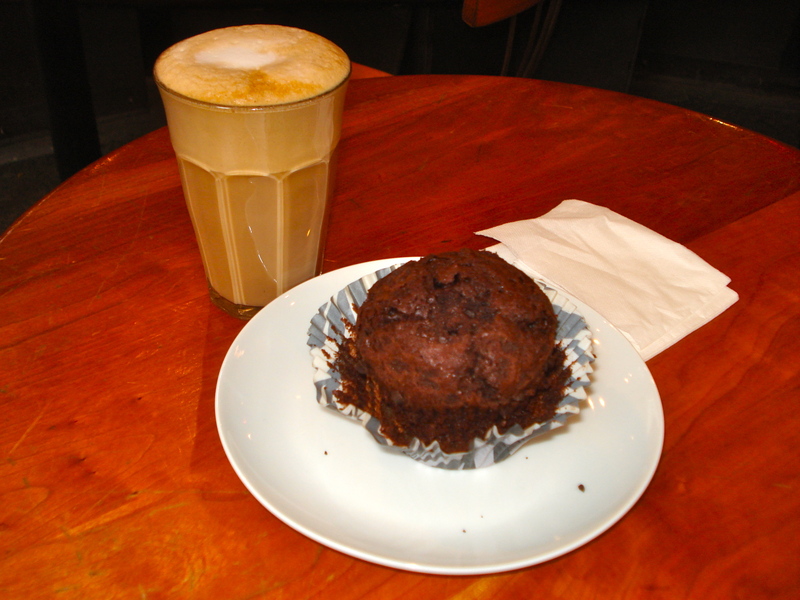 Kan jag få en cappuccino och en choklad muffin? 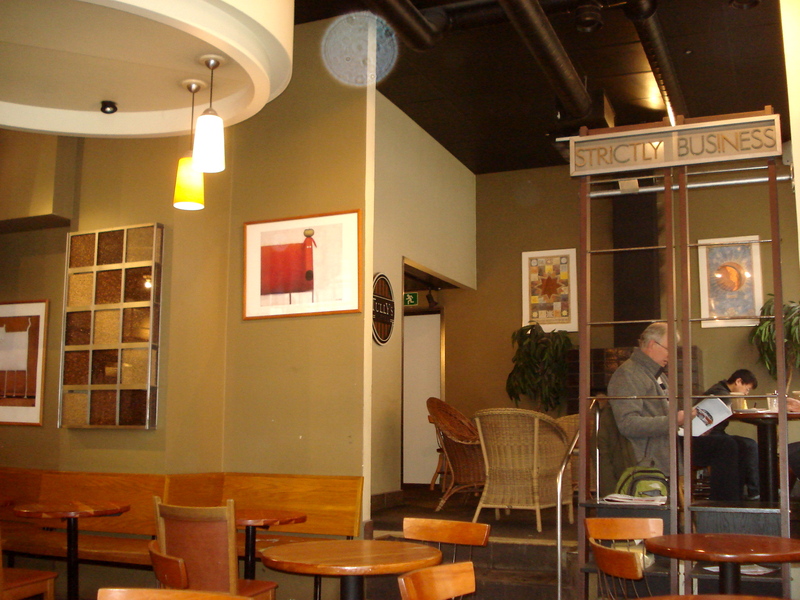 Being on Götgatan, Tully’s probably attracts a mix of Swedes in need of a break from shopping and the usual tourists with their big cameras around their neck. While Tully’s is not really a café where regulars meet all the time, it does a pretty decent job at creating a warm atmosphere. It was pretty quiet early this morning but I can easily imagine how groups of friends could spend a lot of time here on a Saturday afternoon. 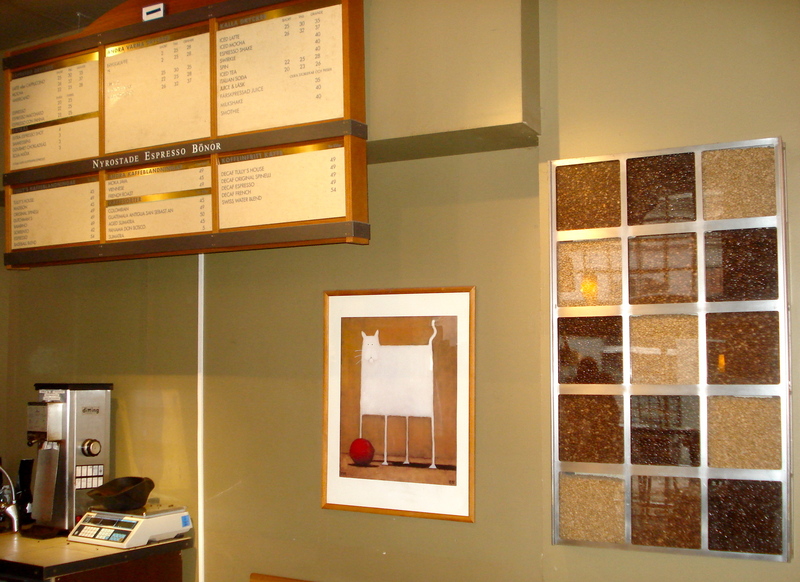 Tully’s has a nice menu – both for coffees and food. You can also buy coffee beans if you would rather have coffee at home. Another good thing about Tully’s? They’re open until 10:00 pm every night! 6 Responses to Tully’s: Det blir femitofem kronor! Happy for you and your language skills 🙂 How is it when you take your photos in the cafés? Do you ask for permission? Did anybody bother you yet? Last week, when I was taking photos in a restaurant, the boss asked me, half kidding but also half seriously, not to forget about the copyright… Aha.